The campaign seeks to raise money which will be used to fund the growth and build the areas of research, and data entry, and to implement features to enhance the site. We would like to encourage you to visit the campaign to see how you can help encourage and spread the word through donation or help in spreading the word through social media Facebook, Instagram, Twitter, Tumbler, Pinterest and more. But first, the why. So, what exactly is TAB Street? TAB Street is a website that has listings of allergy free and gluten free restaurants that have been verified for that information. These listings cover restaurants, bakeries, hotels and more. TAB Street, at the time of this writing, has over 3000 listings which are color coded for allergy information, gluten free information among other listings that benefit both groups. This is perfect for parents, frequent travelers, on-the-go professionals, senior citizens, or anybody who wants to eat out that has food allergies or is gluten free. "Our purpose is to help millions of people with food allergies both young and old, we have also included information for gluten free, sometimes the listings have information for both. No matter the size of the town, from rural areas to the city every listing that meets the criteria qualifies. The aim is to give more options, geolocation and more," said Bea. 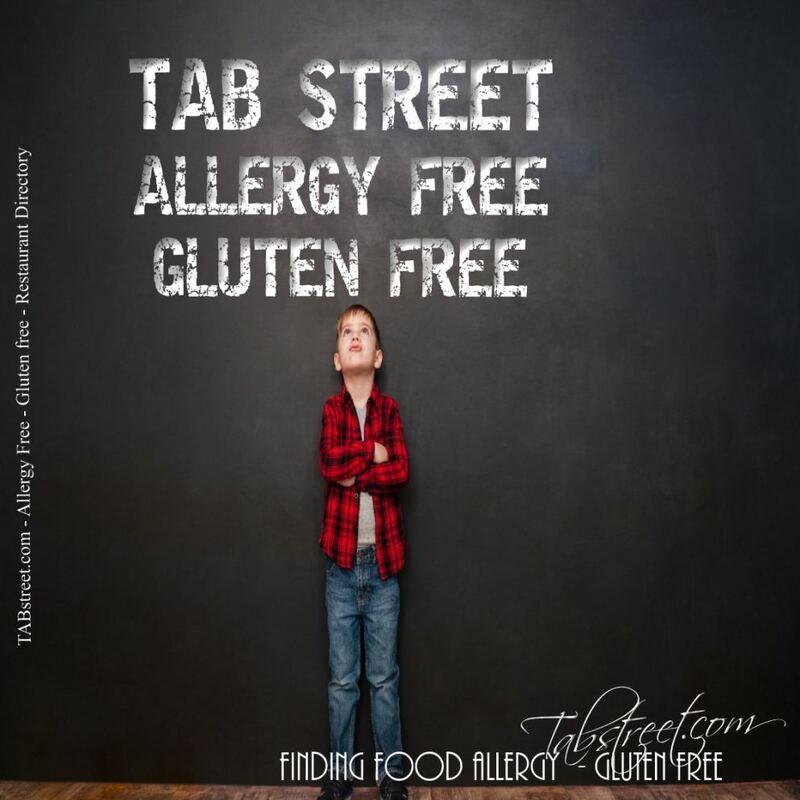 TAB Street is a website which will be updated on a regular basis with information as it is found, and the website verified to have information for food allergies and/or gluten free information. It is a work, continuous in nature which will grow as our knowledge and resources grow. The message from the founder "TAB Street is all about empowering everyone, young and old with food allergies, gluten free diet and Celiac Disease. For me, TAB Street became a need after being diagnosed later in life with multiple food and environmental allergies. It was hard to travel local or travel to a vacation destination without knowing where to eat".